This is believed to be the first company to make such a declaration and the Campaign to Stop Killer Robots urges other companies to follow its lead. ClearPath Robotics co-founder and chief technical officer Ryan Gariepy drafted the statement, which is presented in the form of an open letter and posted below in full and on the company’s website. ClearPath Robotics has worked for clients including the Department of National Defence of Canada and US Department of Defense as well as the Canadian Space Agency, Google, and MIT. It was founded five years ago by graduates from the University of Waterloo mechatronics program and has 56 employees. In a CBC Radio interview, Gariepy explained that ClearPath Robotics hopes its pledge will encourage other companies in Canada and around the world to take autonomous weapons more seriously and follow their lead by speaking up and contributing to the emerging debate. The Campaign to Stop Killer Robots was launched in April 2013, bringing the topic of “killer robots” under public scrutiny – and for good reason. To the people against killer robots: we support you. This technology has the potential to kill indiscriminately and to proliferate rapidly; early prototypes already exist. Despite our continued involvement with Canadian and international military research and development, Clearpath Robotics believes that the development of killer robots is unwise, unethical, and should be banned on an international scale. How do we define “killer robot”? Is it any machine developed for military purposes? Any machine which takes actions without human direction? No. We’re referring specifically to “lethal autonomous weapons systems (LAWS)”; systems where a human does not make the final decision for a machine to take a potentially lethal action. 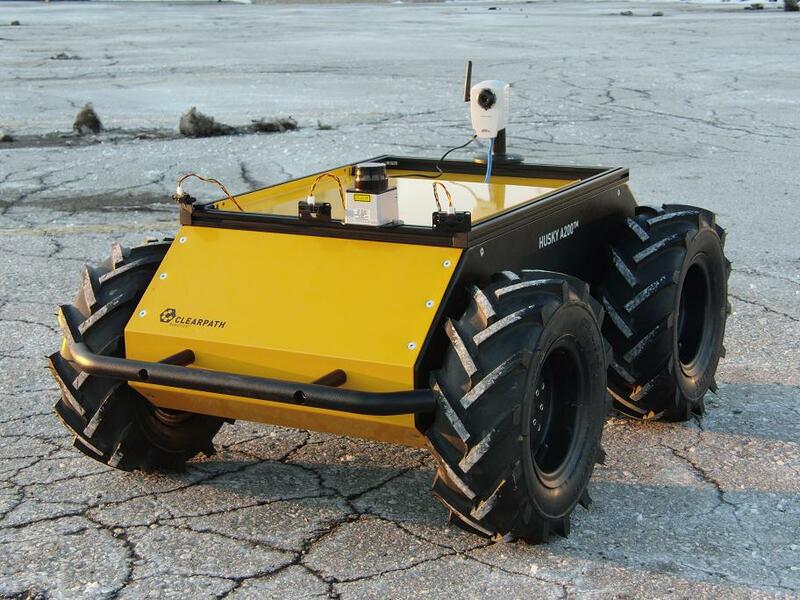 Clearpath Robotics is an organization that engineers autonomous vehicles, systems, and solutions for a global market. As current leaders in the research and development space for unmanned vehicles, making this kind of statement is a risk. However, given the potentially horrific consequences of allowing development of lethal autonomous robots to continue, we are compelled to insist upon the strictest regulation of this technology. There are, of course, pros and cons to the ethics of autonomous lethal weapons and our team has debated many of them at length. In the end, however, we, as a whole, feel the negative implications of these systems far outweigh any benefits. Is a computer paired with the correct technology less likely to make rash, stress-driven decisions while under fire? Possibly. Conversely, would a robot have the morality, sense, or emotional understanding to intervene against orders that are wrong or inhumane? No. Would computers be able to make the kinds of subjective decisions required for checking the legitimacy of targets and ensuring the proportionate use of force in the foreseeable future? No. Could this technology lead those who possess it to value human life less? Quite frankly, we believe this will be the case. This is an incredibly complex issue. We need to have this discussion now and take a stance; the robotics revolution has arrived and is not going to wait for these debates to occur. Clearpath Robotics strives to improve the lives of billions by automating the world’s dull, dirty, and dangerous jobs. This belief does not preclude the use of autonomous robots in the military; we will continue to support our military clients and provide them with autonomous systems – especially in areas with direct civilian applications such as logistics, reconnaissance, and search and rescue. In our eyes, no nation in the world is ready for killer robots – technologically, legally, or ethically. More importantly, we see no compelling justification that this technology needs to exist in human hands. After all, the development of killer robots isn’t a necessary step on the road to self-driving cars, robot caregivers, safer manufacturing plants, or any of the other multitudes of ways autonomous robots can make our lives better. Robotics is at a tipping point, and it’s up to all of us to decide what path this technology takes. As a company which continues to develop robots for various militaries worldwide, Clearpath Robotics has more to lose than others might by advocating entire avenues of research be closed off. Nevertheless, we call on anyone who has the potential to influence public policy to stop the development of killer robots before it’s too late.